The middle-grade writing didn’t bother me as much as I had thought it would. I had initially thought I would be because generally, I don’t find middle-grade writing all that appealing. Sometimes, it’s a bit hard to read through because I feel like it’s talking down to me or that it’s too simple. (Yes, I’m aware these books are mostly aimed at kids.) However, writing that way makes sense considering Nathan was a kid when this story started and his lack of proper education. It’s not written middle-grade for no reason. I. NEED. THIS. BOOK. IN. MY. LIFE. RIGHT. NOW. WITCHES, DEAR FRIENDS. WITCHES. AHHH. SO AWESOME. I haven’t seen a lot of witch books last year and you know what this means, right? 2014 is year of the witch! I AM EXCITED. 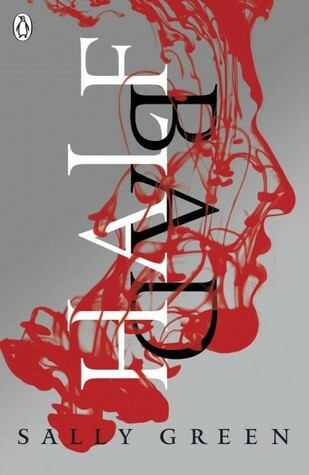 I love that Half Bad is set in England, will address two different types of witches, and that it’s from a male point of view (that’s what I’m assuming). Don’t mind me. I’m busy SCREECHING. My friend Nikki has read this book already and absolutely loved it, so that makes me incredibly excited to read this book. More so, then I originally was.